Several of you have asked me to upgrade our doll patterns to baby patterns. 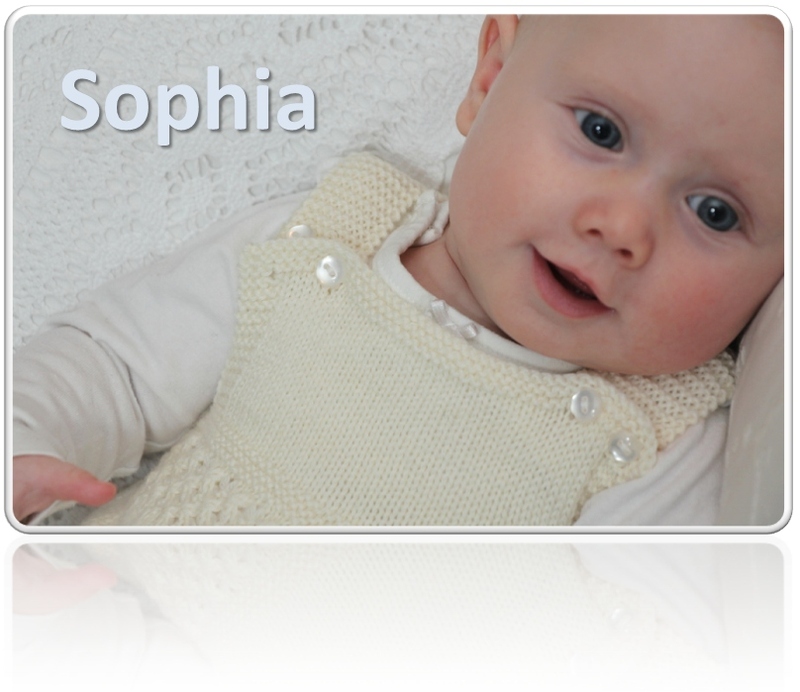 Not long time since we opened this site and started to send out patterns for babies. 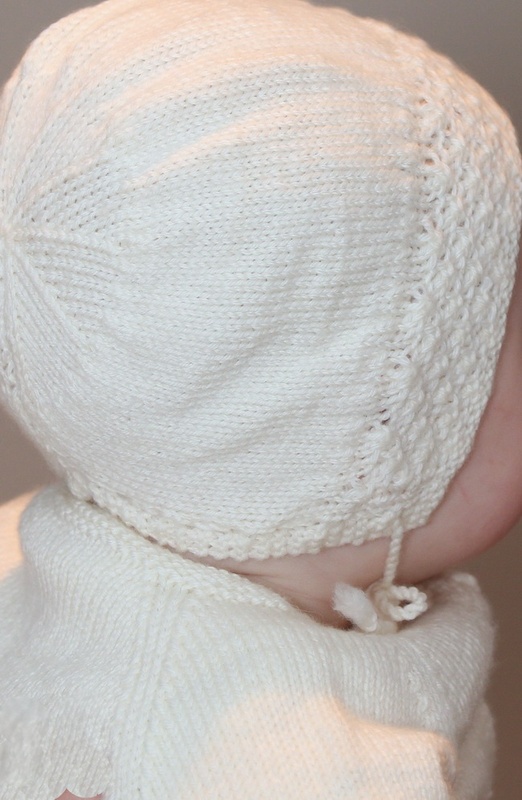 This time I have made a new pattern for babies. I have also knitted this pattern for dolls. You can find this pattern for dolls at the doll’s side. ...dressed in my baby clothes. 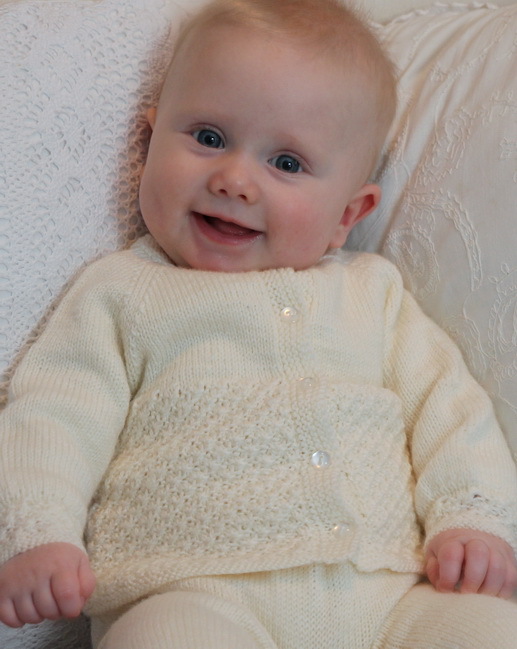 The clothes is knitted in the softest lovely baby wool yarn. Earlier I knitted a baby blanket with Waffle seam around the edge. 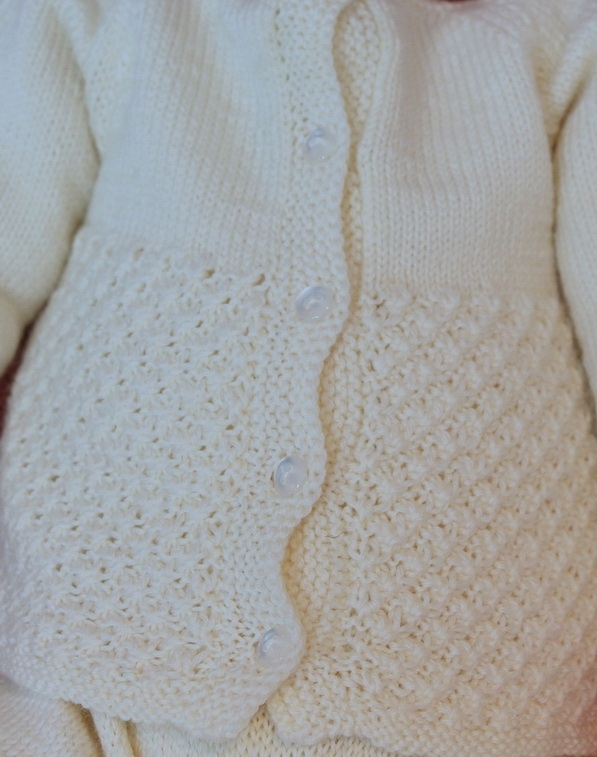 As I like the waffle pattern very much and think it is beautiful to use for baby clothes I have chosen this pattern for these baby clothes. 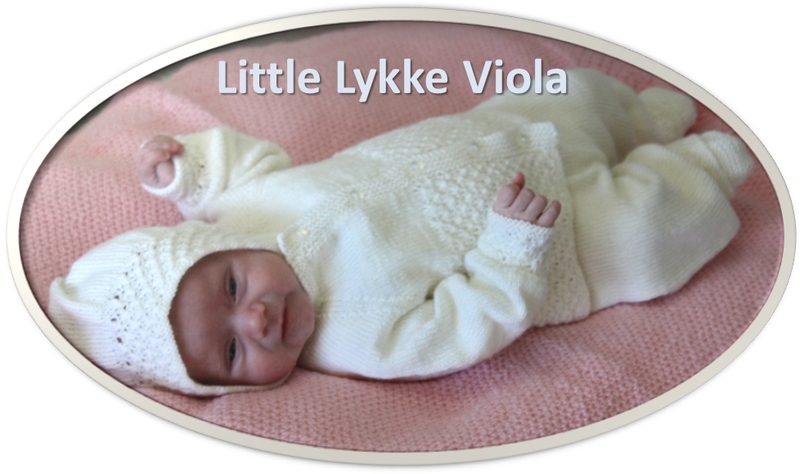 To see them on little Lykke told me that they fit perfect for a little baby. To design baby clothes has always been closest to my heart! 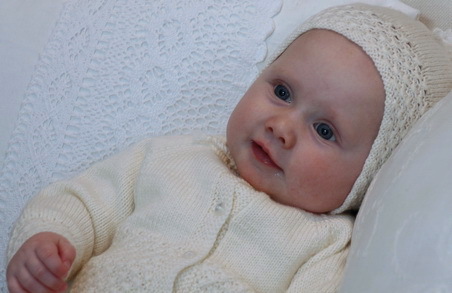 I hope you too will love to knit these clothes for you baby! Click the images to the right and view more photos in the Photo Gallery. As said before you will find these clothes for dolls on the dolls side. I believe many sisters will love to get doll clothes similar to the clothes mum has knitted for their little brother or sister. I am soooo satisfied with this lovely baby blanket I could almost eat it. Wow, my doll is dressed just like me. THANKS!! Beautiful patterns! I just ordered that pattern, can't wait to start. We are making baskets for new parents at church to give to them when their babies are baptized. These are perfect! Great! ... and good luck to you, Diana! 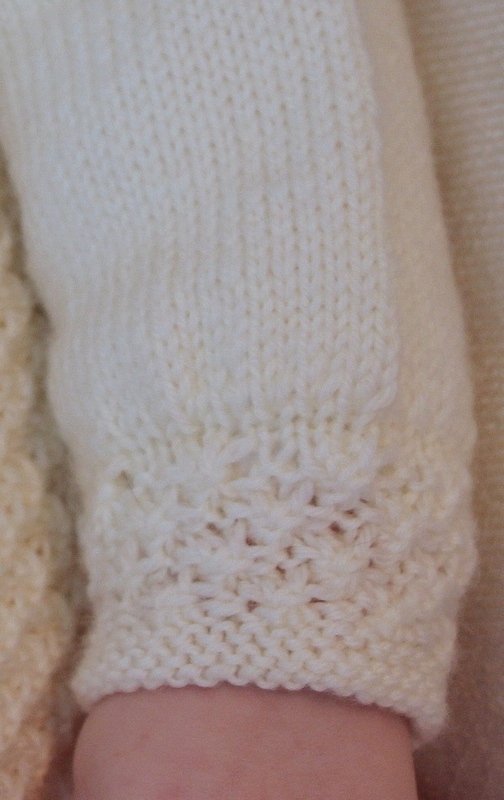 Your knitting is just so gorgeous. I could never knit as beautiful as you. Thank you ever so much! To hear that you enjoy my knitting is very nice to hear.